LONDON (Reuters) – The latest James Bond novel is titled “Solo” and will see the world’s most famous fictional spy go on an unauthorized mission at the height of the Cold War, the author of the book said on Monday.�The plot of the book focuses on Africa, but spans Europe and the United States, as it reveals a realistic, 45-year-old Bond based on the wealth of biographical detail taken from the original Ian Fleming novels, British author William Boyd said. “Events conspire to make Bond go off on a self-appointed mission of his own, unannounced and without any authorization. And he’s fully prepared to take the consequences of his audacity,” Boyd said.�“He goes on a real mission to real countries and the world he’s in is absolutely 1969. There are no gimmicks, it’s a real spy story… there is a very precise reason why I chose that year,” Boyd added, declining to comment further. “Solo” will be published in Britain on September 26 by Jonathan Cape – Fleming’s original publisher – and available from HarperCollins, a subsidiary of News Corp, in the United States and Canada from October 8.�While stressing the lasting influence of Fleming’s work, Boyd described “Solo” as one of his books which happens to have Bond as a character. 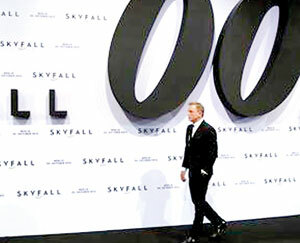 The screen version of the suave spy remains a box office superstar, with “Skyfall” becoming the first official Bond film to take over $1 billion at the box office following its release last year.�Boyd is set to please fans of the original novels, not least as he already has two spy novels under his name, but also because he researched both Bond and his creator meticulously. Fleming wrote his first Bond novel, “Casino Royale” 60 years ago in 1953 and penned 13 more before he died 11 years later at the age of 56.�But to keep the literary James Bond brand alive, his estate has invited various authors to continue the Bond story. The Bond catalogue is one of the most prized in publishing, with global sales of more than 100 million copies. Most recently U.S. thriller writer Jeffery Deaver wrote “Carte Blanche” in 2011, and novelist Sebastian Faulks wrote “Devil May Care” to mark Fleming’s 100th birthday in 2008.�Boyd has won acclaim for writing page-turners with complex plots often set in unique historical milieus, from World War One-era East Africa to 1936 Los Angeles.